The Flambeaux (pronounced: “flam-bow”) are torches used during Mardi Gras parades. Throughout the history of our carnival tradition, the flambeaux carriers have lit up the night before floats so that revelers could see the parades. They also served as guides that led the parade on its route. 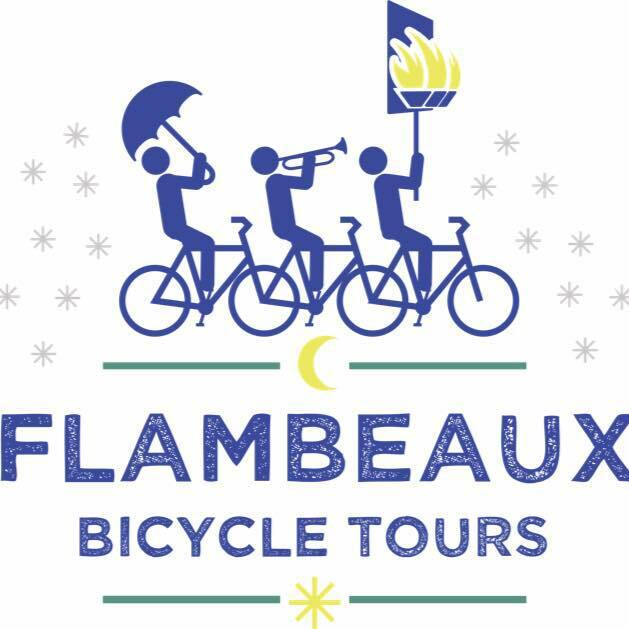 In the same spirit, Flambeaux Bicycle Tours seek to shed light on New Orleans’ traditions and heritage. As we guide you through town, we share our city’s colorful past and vibrant culture.